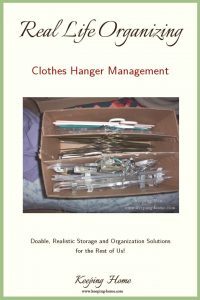 Here’s how I corralled the extra clothes hangers a few years ago. Naturally, the skirt hangers got tangled up and resisted removal, but it was certainly better than not having them corralled! 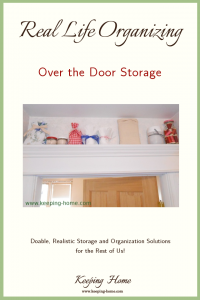 I’m trying to cram a lot of living into a small space, so I’m always looking for better ways to store stuff out of the way (instead of in the way). The window and door trim in our house is deep so . . . why not? 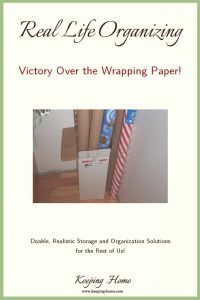 Just so you know: this post is not about a new and life-saving method of storing rolls of gift wrap. 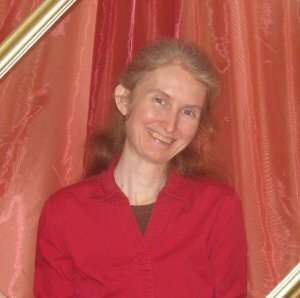 It's a personal experience with the ordinary challenges of housekeeping. Now there’s an idea! Store stuff in a box on a closet shelf. Who would have thought? But, seriously . . . . Sometimes simple solutions make a big difference! 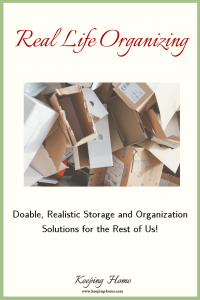 Here’s the reason behind this simple Real Life Organizing solution and what it’s doing for me. Real Life Organizing. What in the world is that? 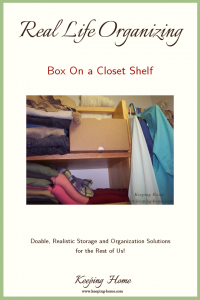 It’s organizing solutions that actually work for your real life, right now. 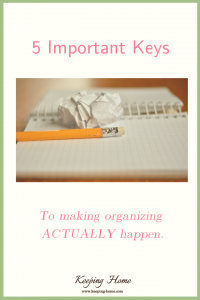 It’s a simple solution to the complex and discouraging problem of trying to be organized when you just don’t have the right tools, materials, money, or skills for what everyone else is doing or for what you think would be ideal. Want to make this whole organizing thing, you know, actually happen? For real? For you? Here are five keys I’ve found that have already made a difference in my life.